Lafayette House will always have a funding gap. That is why the Friends and residents of Lafayette House are so grateful for the generosity of their friends. 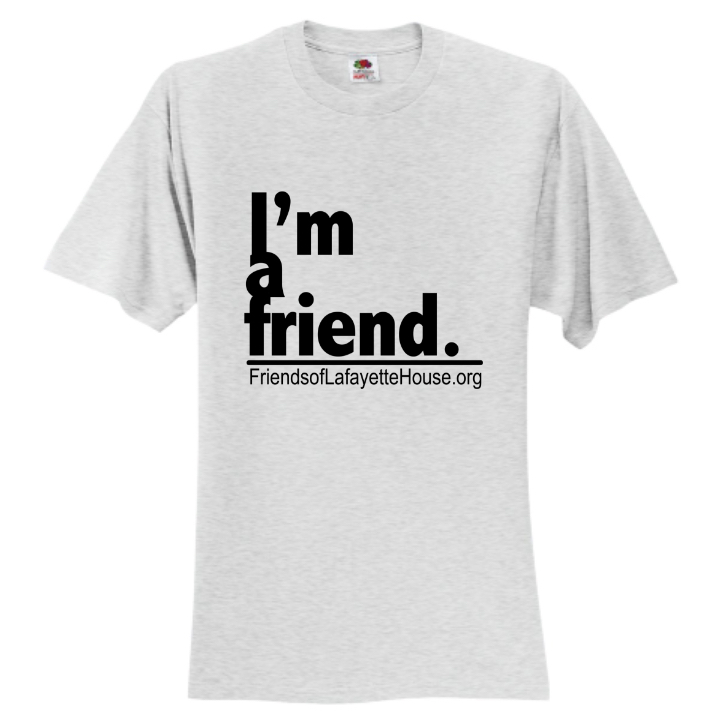 On Giving Tuesday, we will be giving “I’m a Friend” T-shirts to all who donate $100 or more. Thank you from the bottom of our hearts! And please stay in touch by following us on FB!